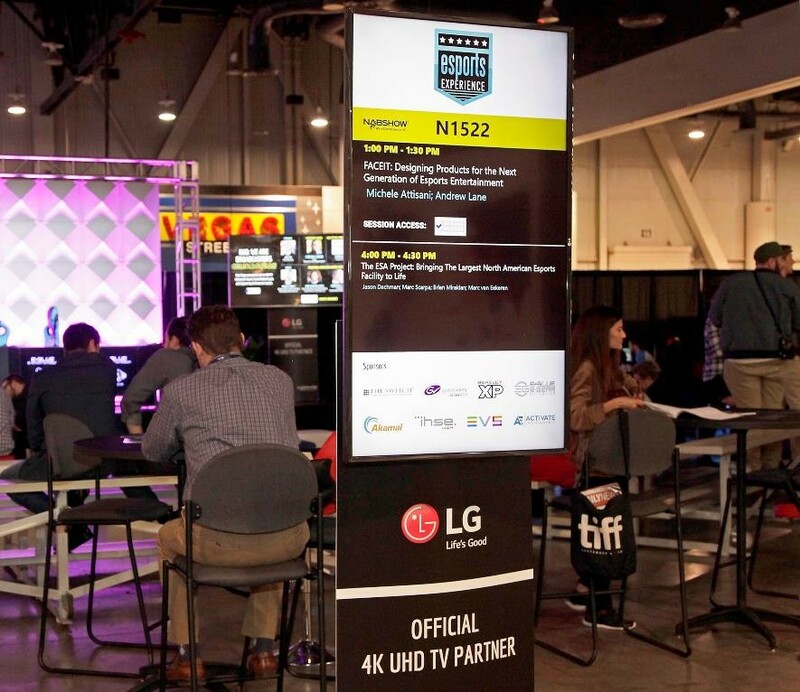 Scores of advanced video displays from LG Electronics dominated the 2019 NAB Show in Las Vegas, where more than 90,000 attendees experienced the convergence of media, entertainment and technology. 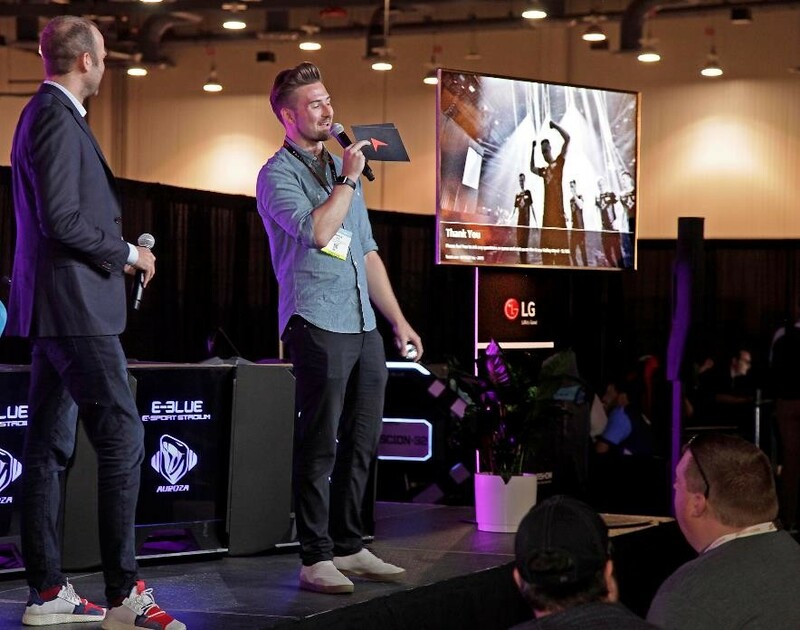 All told, more than 160 advanced LG 4K Ultra HD screens, ranging from 32- to 70-inch screen sizes, were installed throughout the Las Vegas Convention Center – for wayfinding and information, and especially for displaying stunning 4K video. 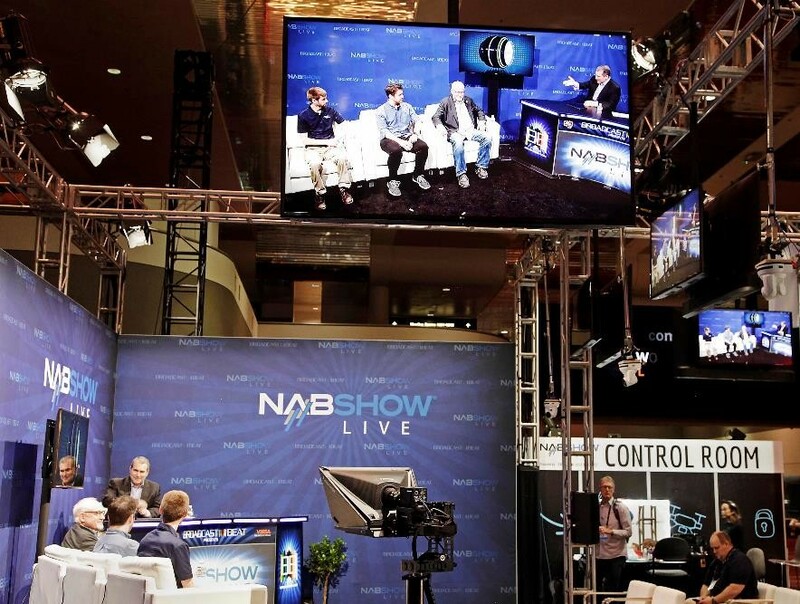 The National Association of Broadcasters (NAB) named LG Electronics USA the exclusive “Official 4K UHD TV Partner” for the 2019 NAB Show, which transcends traditional broadcasting and embraces content delivery to new screens in new ways. 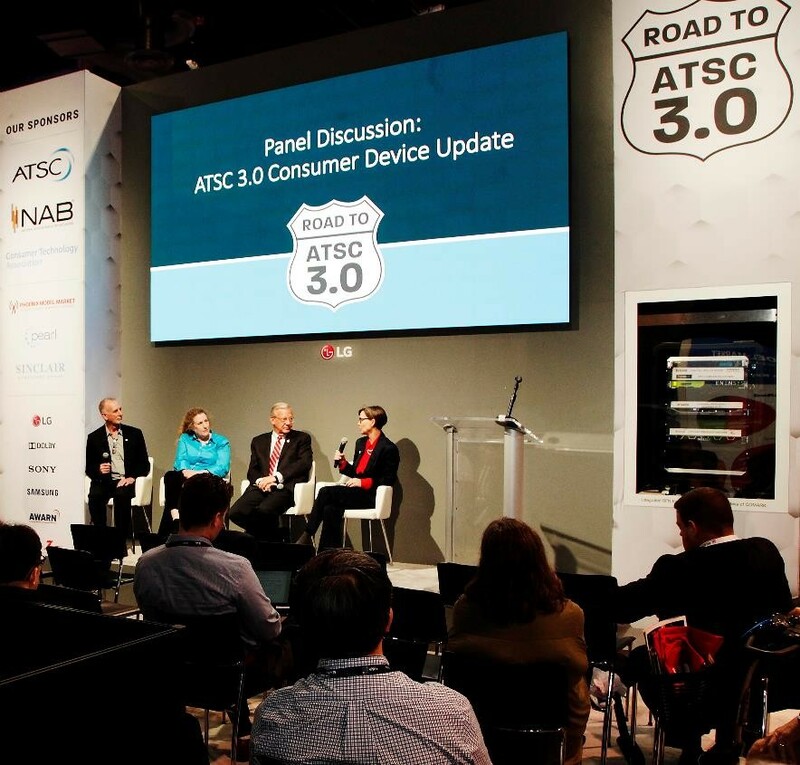 In addition, LG Business Solutions was selected to provide innovative new commercial dis-plays for the “Road to ATSC 3.0” Next Gen TV exhibit in the North Hall and the high-profile Next Gen TV information center in the convention center’s lobby. 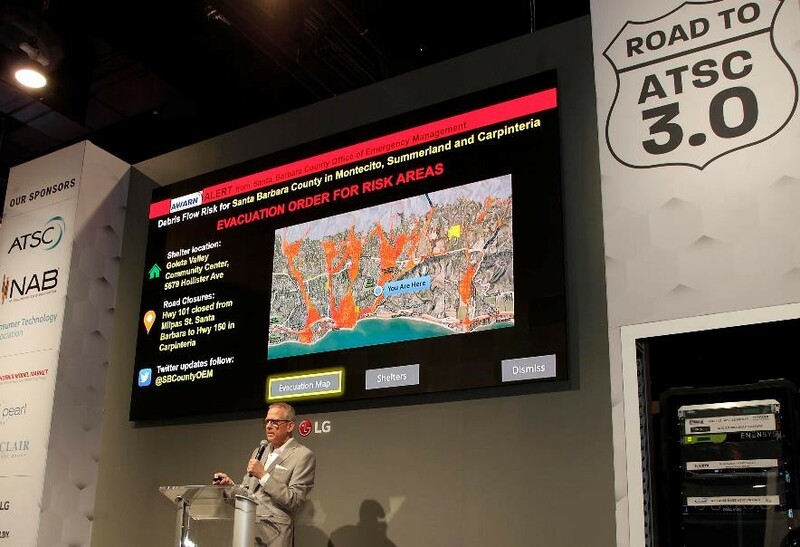 From digital signage for registration areas and session venues to 4K TVs for theaters and the broadcast studio, LG displays were ubiquitous at the 2019 NAB Show. 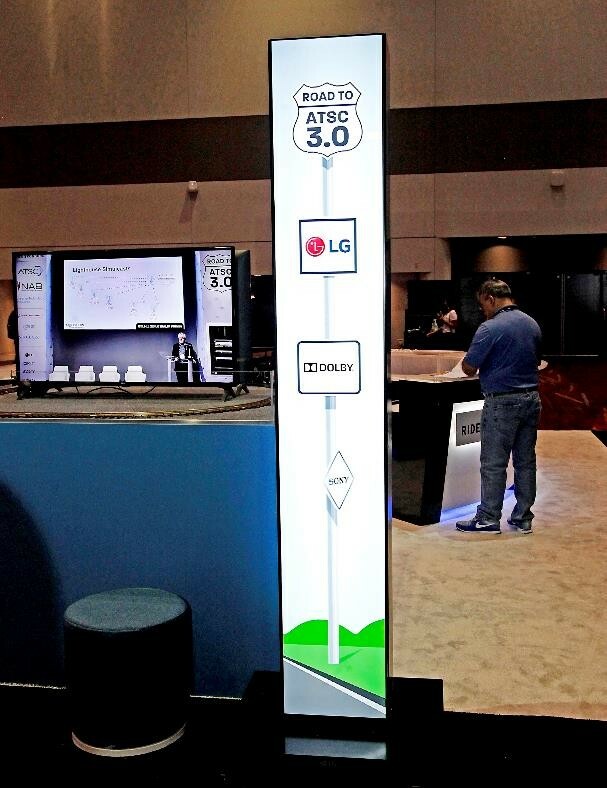 Dozens of 49-inch LG screens greet attendees at hundreds of technical and business sessions. LG 70-, 65- and 55-inch 4K UHD TVs were used throughout the convention including the Futures Park in the North Hall, where among others, NAB PILOT, the AWARN Alliance and Trivini Digital are featuring LG displays. Unique screens from LG Business Solutions, which offers a broad array of UHD digital signage and commercial displays, represented the core of the exhibit design – meeting the industry’s goal of telling the Next Gen TV story in fresh new ways. The centerpiece of the main stage was a 12-1/2-foot-wide by 7-foot tall 2.0 mm pixel pitch LG Direct View LED display, which produces outstanding color, contrast, saturation and bright-ness levels optimized for broadcast applications. The exhibit includes a broadcast camera feeding a 55-inch LG OLED to demonstrate the use case of LG Direct View LED screens as a digital backdrop in TV and Cinema production. LG OLED TVs are used by Hollywood post production facilities as consumer reference monitors because of their superior color accuracy, contrast, and calibration capabilities. Award-winning 55-inch class LG OLED TVs also were selected by Pearl TV, Dolby and the AWARN Alliance for the Road to ATSC 3.0 exhibit. Offering broadcasters a sneak peek at the latest advancement of the LG OLED technology for the first time, the company previewed the awe-inspiring LG Transparent OLED display. Broadcast executives, news directors and chief engineers marveled at its super-thin profile and advanced transparent panel that is ideal for TV news and talk show sets. 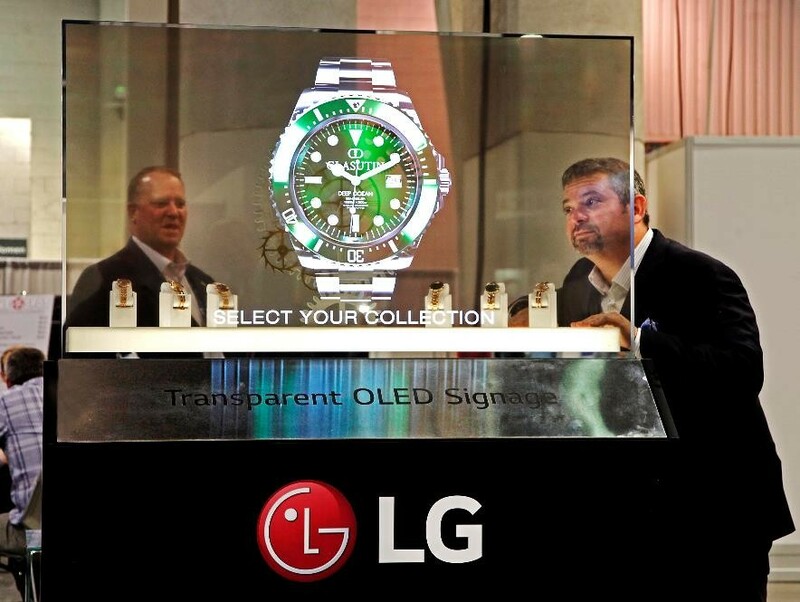 The LG Transparent OLED delivers stunning images while allowing viewers or a camera to see people and objects behind it. In addition, the NHK 8K Theater featured a proto-type 88-inch LG OLED 8K display with 16 times the resolution of HDTV, provided by LG Display, sister company of LG Electronics.